A healthy soil is the foundation of sustainable land use. This module shows you how to get to know the soil and understand it as a living ecosystem. We also look at how to work with the soil, including techniques such as composting, green manuring and preparing compost tea. What makes one soil grow good crops while another doesn’t? We look at the various factors which make the difference between a fertile and an infertile soil. This topic shows you how to examine the soil and assess its fertility. 3 To Till or Not to Till? Tilling means digging or ploughing. There’s no doubt that a soil which is not tilled is more fertile than one which is but still many people find it necessary to till. We look at the reasons for and against. Every ecosystem is gloriously unique but there are some common threads with run through them all. These are the ecological principles and in this topic we look at those principles which are most relevant to sustainable land use. Abiotic means non-living and the main abiotic influences on plants and animals are soil and climate. As we have covered soil in the previous module here we focus mainly on how to improve productivity by working with microclimate. Here we look at how plants and animals respond to other living things, including weeds, pests and other crop plants. Polyultures and how to grow them are explained. Understanding how people affect ecosystems is an essential step to making our place in them more sustainable. This topic describes the general patterns that commonly occur when people intervene. While the previous three topics are mainly about observation, this one is about using the knowledge gained from those observations to assess the sustainability of a farm, garden or other area of managed land. 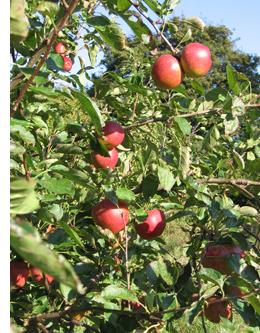 This module provides an in introduction to growing fruit and vegetables the natural way. It’s applicable both to home gardening and to producing for the market on a small scale. It’s suitable for beginners but people with some gardening experience will also find it useful. The most formative part of the life of any living being is the earliest part. This topic covers seed sowing, cuttings and other ways of reproducing plants. 2 Weeds, Pests and Diseases. Nowhere is there more divergence between organic and conventional growing than here, where the conventional grower is most likely to reach for the crop sprayer. The organic approach is not to substitute chemical sprays with organically approved ones but to avoid the need to spray altogether. This topic starts with an audio slide show in which Jo Newton takes you on a tour through the wheel of the year, full of gardening lore and experience. There’s also information on protected cropping, storage, crop rotation, no-dig gardening and growing without animal manures. It ends with a series of videos of Patrick in his garden at different times of the year. This topic will help you to: choose which fruits to grow, choose a suitable site or make the best use of the site you have, and select the style of growing which suits you best. Nuts as a staple food have many ecological advantages, and an introduction to growing them in Britain is included. Having covered the basics of organic horticulture, we look at some rather more specialised aspects: seed saving, biodynamic growing and the biointensive system. 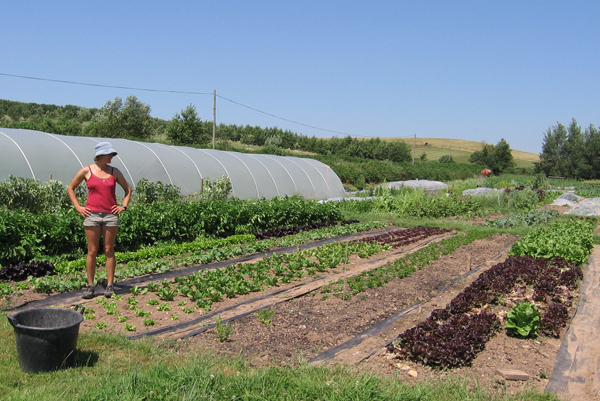 All three are well within the scope of home gardeners and small-scale producers. The woodland ecosystem has many ecological benefits for the planet as a whole while also providing us with timber, fuel and other resources. This module show how we can bring both these aims together through techniques of sound ecological management. Whether you’re planting a new wood or deciding how to manage an existing one, it’s essential to have a clear idea of the possible outputs. Some of these are economic, others are social and ecological. This topic looks at the design of new plantings. 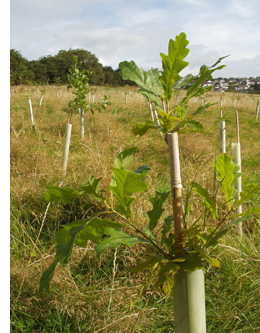 Choice of site, choice of species and the layout of the planting are the main themes and there are also key tips on how to plant trees successfully. Woods and plantations come in all shapes and sizes. This topic helps you to recognise what you’ve got – the essential first step before deciding on a management plan. Here we look at the various ways in which existing woodland can be managed. The topic covers both traditional coppice systems and high forest timber production. Much of the material in the previous topics applies as much to urban trees and woodland as it does to rural ones. Here we look at those aspects which are specifically urban. Hi Patrick, I’m considering doing your 10-day design course at Ragmans Farm next year. How much of Organic Horticulture would be included in that? Many thanks. Please do get back to me if you have more questions.